Parents are requested to visit the school office for relevant Fees Structure for the grade in which they wish to admit their ward. Resident Proof of the parent. Child's Passport size three (3) photographs. 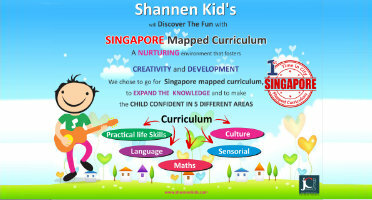 In order to create the sense of equality and discipline amongst children SHANNEN KID'S students comes in specially designed uniform. It also gives them unique identification. School uniform is available in the school. The school provides transport facility to children. Though adequate measures are taken to ensure safety of the children, the school is not responsible for any mishap or injury which may occur in and around the school or in the transport.